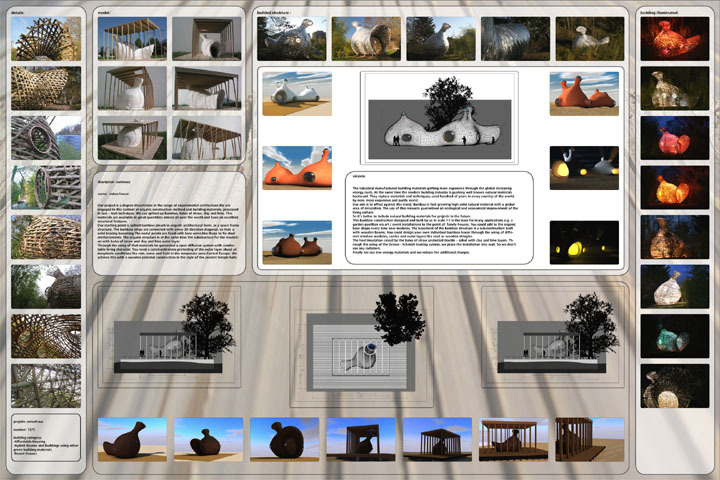 The Onion House began as a dissertation in experimental architecture. Split bamboo is used as the skeleton for this very organic building, and straw and clay are used for the walls. A wooden pedestal structure is used as protection against the elements.